In recent years, the use of plastic has been more heavily criticised than ever for the many problems it can cause. While today many people are aware that using large amounts of plastic is not only contributing to the depletion of natural resources but also to the pollution of nature, the impacts plastic has on human health are not discussed nearly as often – although they are equally alarming! Of course, we should be limiting the use of plastic in all areas of our life, but when it comes to food, using plastic to save, store or cook in is a major hazard and can have profound negative effects on our health and well being. Read on to learn more about why plastic is bad for you and what you can do about it. Plastic food storage containers are filled with more than just food, they’re chock full of harmful chemicals. Plastics are made out of refined crude oil and contain chemicals such as BPA (Bisphenol-A) that function mainly as plasticisers, making plastic more durable and flexible. While this makes plastic very practical for everyday use, it also adds a significant health risk, especially whenever it comes in contact with food. When plastic is used to store or heat a dish, chemicals from the container can leach into the food. Studies of laboratory animals have shown that high doses of BPA disrupt reproductive development and functions. It was previously thought that BPA levels in humans weren’t a concern, but there has also been research showing that people who had high levels of BPA in their system had increased rates of a number of serious health issues including diabetes, heart disease and liver toxicity. that are supposedly less likely to go into the food. Unfortunately, in many cases it happens anyway and the health risks remain. The chemicals in BPA in particular act similarly to oestrogen and, in the long run, can possibly interfere with women’s hormonal balance and affect reproduction. Research has also linked BPA to breast cancer in animals along with obesity, thyroid issues and neurologic disorders in humans. The World Health Organization has shown that exposure to high concentrations of Phthalates and BPA during pregnancy can lead to the child experiencing lung problems or being more likely to develop asthma later in life. In children the high exposure to these chemicals has been linked to increased insulin resistance and elevated blood pressure. New York University School of Medicine has stated that this could be playing an important part in the epidemic of childhood obesity and diabetes as well as linked to negative effects for the heart and kidneys. Although negative effects have been shown to primarily affect women and children, men are not immune to them. According to the same WHO study as mentioned above, men’s risk of prostate cancer can increase significantly if they are often in contact with these chemicals. And similarly as in women, their reproductive abilities can be compromised. Unfortunately, it’s nearly impossible to remove all contact from plastic and its harmful chemicals but there are some simple things you can do to limit the contact plastic has with your food and what you consume. 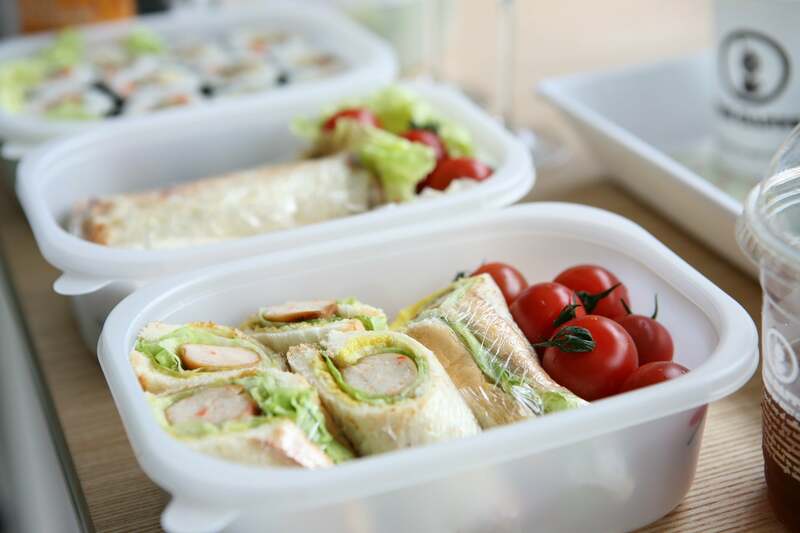 To reduce the risk of being exposed to chemicals like BPA, never heat or microwave your food in a plastic container, as it’s believed that heating up the plastic can increase the amount of chemicals and toxins that leak into your food. However, it is best to simply use natural products for food storage. Although leading health organizations such as the NIH and the WHO have not outright declared all plastic food storage products as seriously hazardous to our health, it is obvious that natural products should be preferred for this purpose. Luckily, this has become a lot easier in recent years, due to the increased availability of non-toxic and eco-friendly products. Try switching out any plastic food containers with glass containers or a natural alternative to plastic wrap, like SuperBee beeswax wraps. Glass or ceramic containers are always safe and can be cleaned easily. Since they are heavy and breakable other eco-friendly food storage alternatives should also be considered. Today a number of plastic-free, plant-based products are available to store anything from water to cooked food or fresh produce. Increasing the use of these items for food storage will help reduce exposure to harmful chemicals and have a positive effect on both you and your family’s health and the environment.